Smalley, a spring manufacturer, came to me and commissioned a spring screen from the upholstery materials I classically had been using. 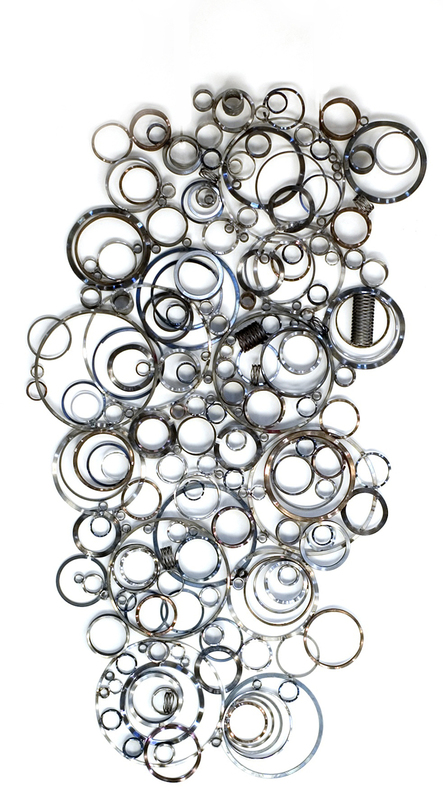 After that, they commissioned me another wall piece, sending me a large sampling of their own springs they manufacture. This was a fun and challenging proposition, as the various metal materials presented welding questions.